Advanced Technocracy Inc. is Manufacturer, Exporter & Supplier of Thermopile. It consists of 12 pairs of Bismuth and Antimony bars joined together in series with insulation between them. The couples thus arranged are enclosed in a brass frame having two terminals connected to the Bismuth and Antimony poles. 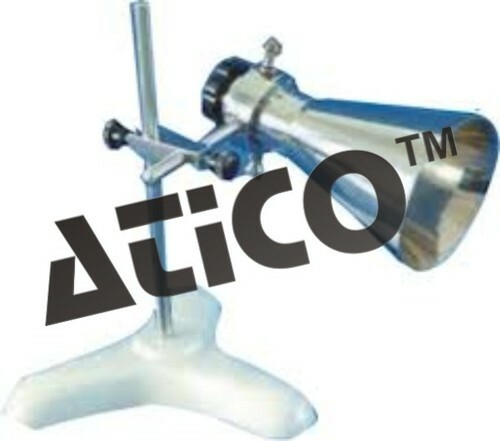 Complete with nickel-plated brass cone and mounted on an adjustable stand.